There are so many aspects to World of Warcraft that following all of them can be a bit dizzying. One of the parts of the game that many players fail to reap all the benefits from is the daily quests. There are several reasons players may choose to complete dailies. 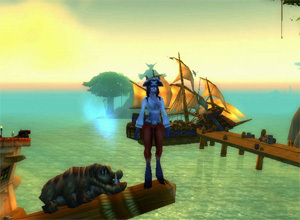 The two most common reasons are to earn reputation and as a stable source of WoW gold, but there are also some professions that require daily quests also. Let’s take a look at how a good WoW dailies guide like Dugi’s Dailies and Events Guide can help out. There is one major reason you may want to earn reputation with the various factions throughout World of Warcraft. Having reputation with these factions allows you to purchase various helpful items like enchantments for your gear, recipes for your professions, and even special mounts. The reputation system is set up in several stages. Hated is the lowest level of reputation, and in many cases you may have to complete some prerequisite quests with the factions just so you can attain friendly status. Once you are friendly, then you can begin working your reputation up through the ranks of honored, revered, and exalted. Exalted is the highest level, and it gives you access to the best of the best items that faction has to offer. For many classes, the only way to get enchantments for certain pieces of gear is to farm reputation with a particular faction. Another way a good WoW dailies guide will help is with gold farming. Using daily quests to farm for gold takes all the guesswork and risk out of how much WoW gold you will make. Many daily quests earn you 13 to 20 gold, and they are a valuable way of making gold in the game. The one problem with gold farming through dailies is the fact that they tend to be scattered all over Northrend. Also there are plenty of daily quests that only pay out 6 gold, so you want to make sure you’re completing the 25 dailies that earn you the most gold. Otherwise, it just isn’t worth your time to be farming 6 gold per quest. A WoW dailies guide will show you which daily quests earn you the most gold and where to find them. Daily quests are also very important for some professions. For example, jewel crafters will have to do a daily quest each day to keep earning patterns and recipes for new gems. These dailies will need to be completed each day, even after the jewel crafting profession has reached level 450. Any gems you create can then be sold for even more gold on the auction house. However, remember that the auction house is one of the riskiest ways to make gold, so you may want to research your server’s auction house first to see which items are selling for the most gold.